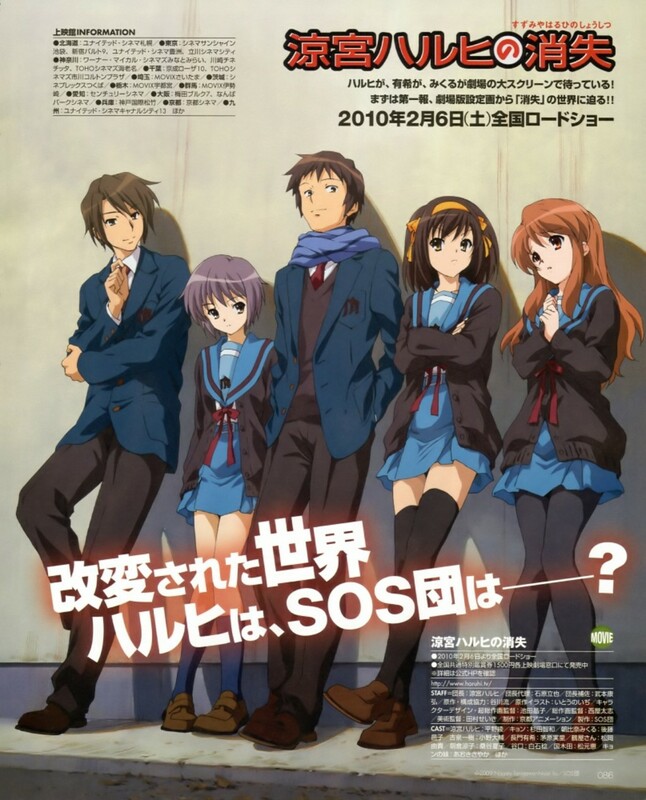 On December 18, Kyon finds that several traces of the SOS Brigade have mysteriously disappeared from his life. Mikuru and Yuki do not seem to recall meeting him, and Haruhi and Itsuki do not attend North High School. In addition, all the former Brigade members have become normal people. 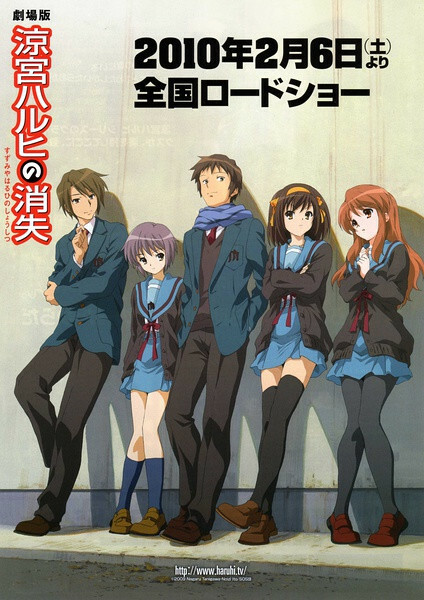 Eventually, Kyon receives a message from Yuki's alien counterpart asking him to gather keys for a program that could return him to his own reality. This starts Kyon on a journey that eventually leads him back to the night Haruhi first became interested in meeting aliens, time travelers, and espers. Regions are unavailable for this movie. Click the "Watch on Netflix" button to find out if The Disappearance of Haruhi Suzumiya is playing in your country.